You can travel to Niagara falls in several ways. But the best way is to travel from Toronto to Niagara falls in a limousine from Deol Limo. It’s simply fantastic. We offer a guided tour from Toronto to Niagara falls. And you can choose from our unique fleet of limousines to have a truly fascinating trip. You are free to choose any kind of limo to convey you and your co-travelers to Niagara falls. Hummer limos, Lincoln Navigators, Ford limos and several other brands are available. We also have party bus limousines that can seat up to 40 passengers comfortably. Whether you are travelling alone, with a few friends and family or on an excursion, you can get a limousine that will satisfy your requirements. All our limousines are fitted with unique facilities to give you an exciting and memorable trip. The flat screen TVs and DVD players will give you the best of high definition movies. You can listen to your best music with the top quality audio and surround sound system. If your music is on your iPod, you can plug it in and enjoy good music throughout your trip. In addition, you will ride in the most comfortable atmosphere with full air conditioning and climate control. All the seats have full leather upholstery. The divider and tinted windows enhance your privacy. And a well stocked mini-bar will provide you with cool refreshing drinks throughout the journey. Our chauffeurs and tour guides are specially trained to give you royal treatment during your trip. Deol Limo’s chauffeurs drive with great care and adhere strictly to all traffic regulations. We ensure that we arrive to pick you up long before your specified time. Our guided tour is designed to give you the best experience at Niagara Falls. So you can relax and enjoy the top attractions at Niagara Falls while we take care of all transportation details. You can have a drive through Niagara on the Lake, have a winery stop or even have a buffet dinner if time permits. 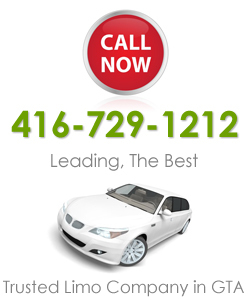 If you want to make a day trip from Toronto to Niagara falls, you can count on our professional tour service. Our ordering process is simple and convenient. To make a reservation for your limousine, simply give us a phone call today. If you need more information, you can also send us an e-mail. Always bear in mind that Deol Limo offers the best service anytime you need to travel from Toronto to Niagara Falls in limousine.